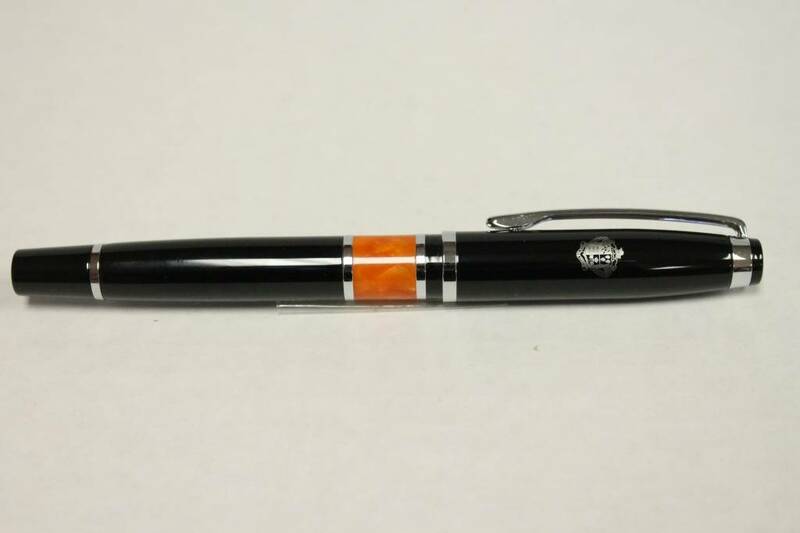 This is the Valencia pen. It has a metal roller ball. It has chrome trim with orange coloured marble accent. Ridley laser engraved crest. Gift box.